How much is Cris Abrego Worth? Cris Abrego Net Worth: Cris Abrego is an American producer, writer and CEO of Endemol who has a net worth of $140 million dollars. 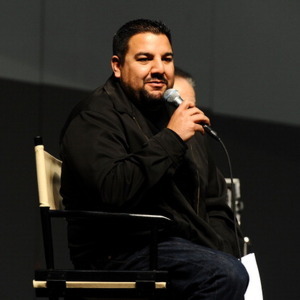 An El Monte, California native, Chris Abrego attended California State University as a wrestler and later relocated to Los Angeles to pursue a career in reality television. He got an early start working on shows such as Road Rules and The Real World as well as Fear and Making the Band. He established his own production company in 2002 which unleashed projects such as Next Action Star, Surf Girls, and The Hitchhiker Chronicles. He merged with 51 Pictures in 2003 and produced shows such as The Surreal Life, Strange Love, My Fair Brady, Flavor of Love, Rock of Love With Bret Michaels, Bridal Plasty, and other celebrity-focused reality shows. Endemol acquired 51 Minds Entertainment in 2008 for $200 million. It was announced in 2013 that Abrego would be the new co-CEO of Endemol.